If you have a gut feeling something is wrong with your diet, bacteria may be the problem. What you eat affects the bacteria in your gut, which in turn affects the wellbeing of your entire little ecosystem. Gut health has been linked to mood, behavior and mental health, so it’s important for it to run smoothly. That usually means a diverse set of good bacteria, which in turn keep unhealthy bacterial colonies in check. But eating right can be hard when it seems like there’s nothing delicious that is safe. Here are some good foods that will get the job done, and won't leave you feeling deprived. Thank goodness. Although cheese is a classically maligned food when it comes to health discussions, researchers have recently suggested that cottage cheeses and soft fermented cheeses can be a treasure trove of probiotics. So break out the feta! Much like its cousin cheese, yogurt contains probiotics that give a leg up to good gut bacteria and can make for a more acidic environment that will reduce harmful bacteria, according to CNN. Long live dairy. Researchers have found that stress could have a negative impact on gut bacteria, CNN adds, so it’s important not to panic. Certain teas can facilitate relaxation, such as ones containing chamomile, peppermint or lemon balm. Keep calm and drink tea. Fiber is important in the (bodily) world of gut bacteria, so eating foods that are high in fiber are a good choice. Sure, you could eat certain fruits, vegetables and nuts, but feel free to add some fists full of popcorn to that mix. 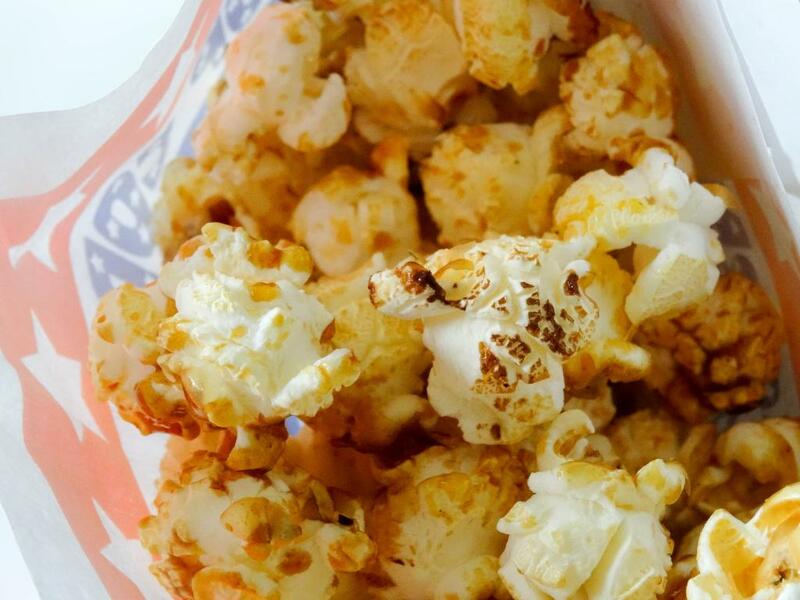 The Mayo Clinic measures three cups of air-popped popcorn as having about 3.6 grams of fiber. Just as high-fiber foods promote good bacteria, high-carb foods do the opposite. Carbohydrates come in many tasty forms, but there are lots of low-carb foods that are good for you too. Bodybuilding.com lists avocado, catfish (if you’re feeling adventurous), chicken drumsticks and eggs, among many others that are low on carbs. What would life be like if coffee was not on this list? Turns out your morning cup will help promote diversity in your gut bacteria, along with its very dissimilar but equally popular friend, wine. You can get started right away because your bacteria tenants will respond pretty quickly. In one study, researchers studied the stool samples of 10 people, including a vegetarian who began eating only animal products like eggs and cheese for the five-day project, and found that gut bacteria changes within a day of starting a new diet, according to Live Science. “While the participants were on the animal-based diet, there was an increase within their guts in the types of bacteria that can tolerate bile (a fluid produced by the liver that helps break down fat), and a decrease in bacteria called Firmicutes, which break down plant carbohydrates.” The gut bacteria in the animal-eaters also activated genes to help the body break down protein, while those on the plant-based diet had bacteria activating genes involved in fermenting carbohydrates.